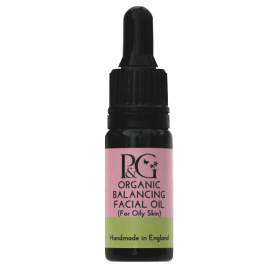 Delicate Facial Cleansing Oil – The oil cleansing method is a highly effective and gentle way of removing make up and cleansing your skin – even oily skin. Dispense three drops of oil into the palm of your hand using the dropper applicator. Gently massage into your face and neck with your fingertips. Reveal a fresh and radiant complexion. Sweet orange promotes collagen formation to help your skin become firmer, a tonic for your skin, whatever your skin type. Lavender promotes growth of new cells, so valuable for all skin conditions and soothes allergies. 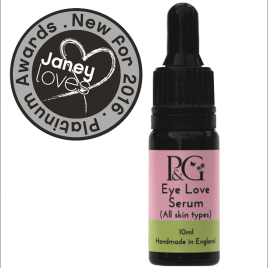 Available in 10ml, 30ml or 3ml Sample sizes. Organic muslin cloth included with either size. Apricot Kernel Oil*, Sweet Orange essential oil*, Lavender essential oil*. This is the first review I have ever written for anything. I just have to add my views on these sumptuous organic products. 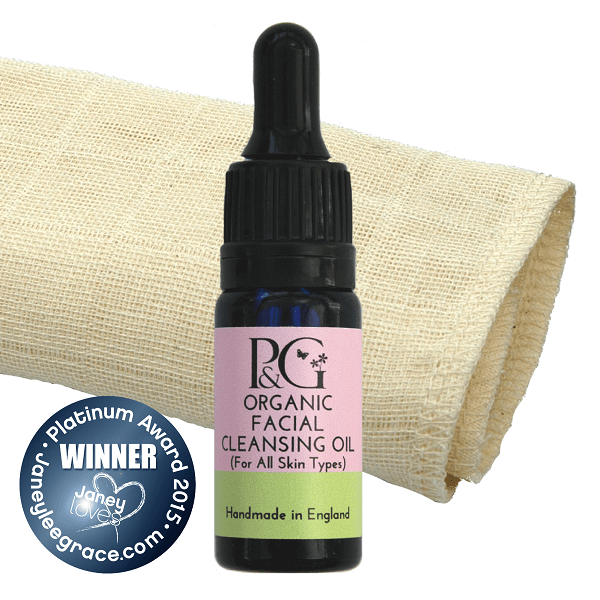 I stumbled across them on the website, looking for an alternative skincare range to Liz Earl hot cloth cleanser. 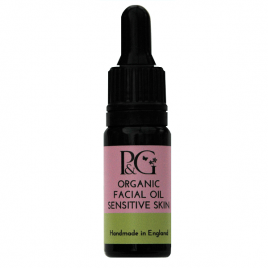 Since the removal of the almond oil it has been to harsh for my sensitive skin … But what to use? Well, I have tried many brands, and I have to say I am so impressed by these and hope you are too. I ordered the sample kit first, and oh what a joy! 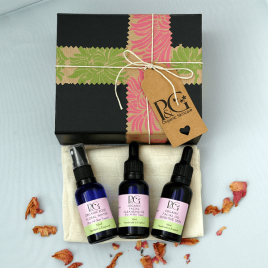 A box with three blue glass bottles, and the best muslin cloth, which for me is slightly more abrasive than most, but soon whisks away that tired post Christmas skin to reveal a fresh youthful pinkness and baby smoothness. My grandmother had beautiful skin, and she always used rose water. Well here it is again, in its freshest form, even with a use by date! The natural fragrance of the aromatherapy oils are uplifting and soothing, a pleasure to use. Finally, Carol truly deserves a mention for her supreme customer care. In that I knew my skin may react to a certain oil, as I cannot use citrus or orange oil on my face, and after emailing her, she responded and offered to make me a bespoke cleanser without the orange (which happens to smell amazing). This was during her busy Christmas period. Now that’s what I call good service!